Hunter R. Stokes, Jr., MD. Since 1972, Pee Dee Optical (PDO) has been an integral part of Stokes Regional Eye Centers commitment to total quality vision care. A fully trained staff with over 80 years of combined experience provides friendly service with emphasis on total quality products and customer satisfaction. 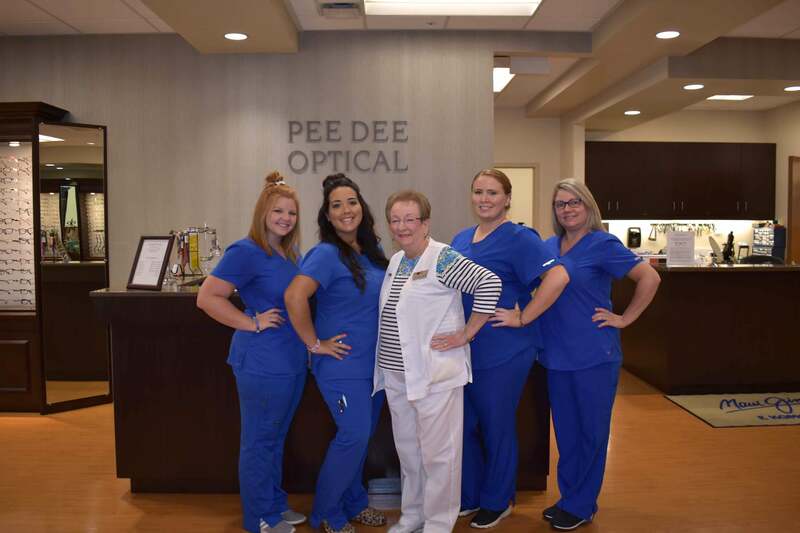 In an effort to meet the needs of the community, Pee Dee Optical has also contracted with multiple local industries to provide safety glasses for employees. Collaborative interaction between SREC, Pee Dee Optical and the surrounding community ensures superb vision care and premium quality service that is unique in the Pee Dee and Grand Strand regions. Pee Dee Optical offers a wide selection of top quality frames including Safilo, Charmont, Luxottica, Marchon, and Marcolin. Specialized lenses including multifocal, hi-index, transition lenses, and photosensitive lenses are also available. Pee Dee Optical also has budget packages to fit any individual needs. Pee Dee Optical maintains a wide variety of brand name prescription and non-prescription sunglasses including Maui Jim, Costa Del Mar, Ray Ban, Ocean Waves, and Serengetti. The entire stock of sunwear products is designed to block 100% of all harmful ultraviolet rays providing ultimate protection. All safety glasses meet ANSI and OSHA requirements. Pee Dee Optical offers the latest in safety lens and frame technology for maximum protection. Corporate packages are available upon request. Since 2000, Sumter Optical has been an integral part of part of the Sumter Eye Centers' commitment to total quality vision care. A fully trained staff with over 80 years of combined experience provides friendly service with emphasis on total quality products and customer satisfaction. Each of the SREC locations houses a service optical shop. In an effort to meet the needs of the community, Sumter Optical has also contracted with multiple local industries to provide safety glasses for employees. Collaborative interaction between SREC, Sumter Optical and the surrounding community ensures superb vision care and premium quality service that is unique in the midlands regions. Sumter Optical offers a wide selection of top quality frames including Bebe, Liz Claiborne, Gucci, Silhouette, Juicy Couture, Saks Fith Avenue, Cover Girl, Nautica, Puma and Timberland. Specialized lenses including progressive, hi-index, and transition lenses lenses are also available. 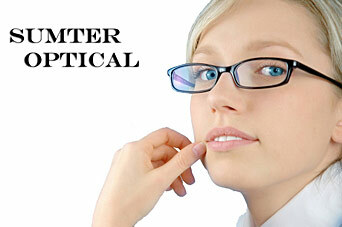 Sumter Optical also has budget packages to fit any individual needs. Sumter Optical maintains a wide variety of brand name prescription and non-prescription sunglasses including Maui Jim, Costa Del Mar and Oakley. The entire stock of sunwear products is designed to block 100% of all harmful ultraviolet rays providing ultimate protection. All safety glasses meet ANSI and OSHA requirements. Sumter Optical offers the latest in safety lens and frame technology for maximum protection. Corporate packages are available upon request. Copyright © Stokes Regional Eye Centers. All rights reserved.